Based on the classic formula by Harry Hoxsey (1910) modified with Boneset. Harry Hoxsey's herbal formula, developed in the 1920's contained many of the same ingredients as a formula produced by Parke Davies and Co., their “Trifolium Compound”, another famous formula sharing some of the same herbs is a formula developed by Rene Caisse. Her last name spelled backwords, “essiac”, is the name given to her herbal formula and is also a most popular alternative treatment. 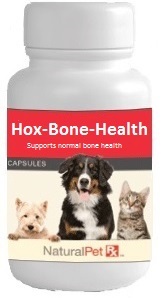 The Hoxsey Boneset formula supports the immune response, and supports natural detoxification processes. Not to used during pregnancy. Herbal should be used with caution with cardiac and kidney problems. Use with caution in animals on steroids. Excessive or long term use may cause or contribute to water retention, hypertension, and other cortisone-like side effects. Large doses may have a slight laxative effect.